Humanoids are expected to penetrate the hospitality industry and disrupt it positively. (Image via Pixabay). On Thursday March 10, 2016 the special guest at the ITB Berlin Hospitality Day, one of the world’s leading travel trade shows, was Mario, a robot that works in a hotel. Hotel leaders attending the show could do nothing but discuss the intriguing emergence of robots and hi-tech innovation which is taking the hospitality industry by storm. A year after, ‘hospitality robots’ are no longer a simple fashion. Both hoteliers and tech innovators moved towards the implementation of what once was a ‘Terminator inspiration’ into a more tangible tech advancement. Many hotel owners, and hotel management chains alike, in addition to other F&B-related businesses started considering hiring a robot to perform some of the traditional tasks. Yelp Eat24 for food delivery announced plans to use autonomous food delivery robots in San Francisco’s Mission and Potero Hill districts. Domino’s Pizza is also testing the use of pizza delivery robots in Europe and New Zealand. Mario at Marriott Ghent Belgium (Image via Marriott website). That same Mario, has been trialed by Marriott hotel in Ghent, Belgium, using it to hand out room keys, high-five guests and liven up meetings held in the hotel by reading out presentations. Hotel EMC2, an Autograph Collection hotel, is providing guests with an innovative experience in Chicago’s Streeterville neighbourhood with functional Relay robots manufactured by Savioke company, and live-streaming monitors in the kitchen of the hotel’s restaurant. 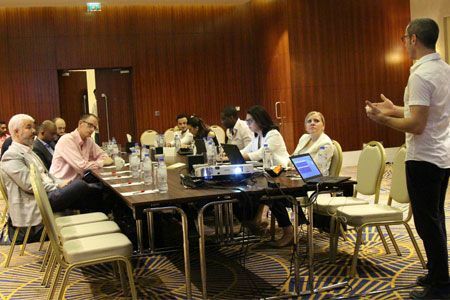 This accentuates Marriott Hotels’ interest in adopting and supporting tech innovation, a reason behind the launch of Marriott TestBed, a 10-week startup accelerator programme focused on transforming the future of travel and hospitality. Some hotel concepts went more exotic. Henn-na Hotel (which means The Weird Hotel in English), is Japan’s first robot-staffed hotel. To check in, arriving guests can either talk with a humanoid robot who speaks Japanese or a dinosaur who speaks English. Successful for almost two years, the hotel owners are considering branching out their property to form a network of over 100 locations in the country. Narrowing down our research, the anticipated Rosemont Hotel in Dubai is expected to have robotic hosts in addition to an AI rainforest. basic tasks, whereas they engage with complex ones (Image via Pixabay). Eric Wesselman, head of digital transformation at KPMG NL, EMA and lead digital labor at KPMG Advisory NV, told Wamda that robots are entering the hospitality business at a rapid pace. “In the front office they provide a new type of customer experience in multiple areas in hotels,” he said. 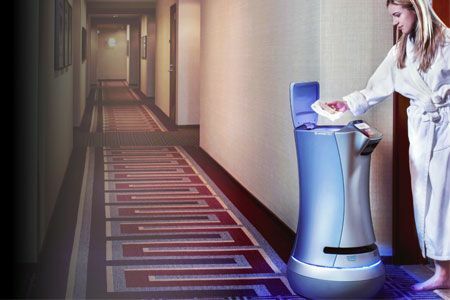 Depending on the type of robot, and ideally connected to an Artificial Intelligence backbone, they can be used for checking/reception desk services, travel information support services, entertainment services, cleaning, maintenance services, room service, employee management, electricity power management and security/surveillance services. In the back-office, robotic process automation helps business to do repetitive administrative tasks with higher quality and at a lower cost. “In combination with analytics, even less repetitive processes are being automated, and we are only just getting started with robotics,” Wesselman commented. Robin can be trained to perform hotel-related tasks (Image via Milvus). Şamil Özden, cofounder of Turkish startup Milvus Robotics, and one of the first in the Middle East that manufactures robots, told Wamda that it’s been a year since they officially launched their robot. “Robin is our smart service robot that we’ve been trying in malls and airports to guide people and show ads, and that can be trained to operate in hotels,” he said. Robin hasn’t been used yet in any hotel, but they are receiving requests from several Turkish properties willing to start demonstrating its usage, according to the cofounder. The AI robot eliminates the need for an operator whilst allowing Robin to bypass any physical obstacles. Robin, which operates in closed indoor environments, has sensors that enable it to detect people’s genders, interactions, and even emotions. Özden said that Robin can perform various tasks, and can fill in the receptionist, help desk, room guidance, and the concierge in any hotel. Many would think that the rise of machines era might be threatening various jobs, and will be leaving many unemployed. Also, many would wonder if replacing human beings with droids, would kill the spirit of servicing, especially in activities and jobs that require human interaction. Hospitality mainly falls under this criteria. According to Özden, robots can be handy when it comes to filling basic activities, such as greeting guests, helping them with their bags, and guiding them to their rooms. More complex activities that require interaction can be still handled by human personnel. “When robots are tasked with basic activities, hotels will be able to invest in their human talents, and enhance their skills to perform more superior tasks,” he said. He explained that hospitality and servicing are sensitive matters, especially in Middle Eastern cultures, where greeting guests is at the core of the social activities. 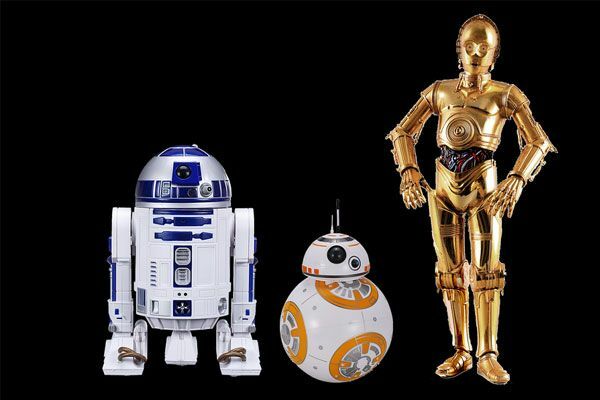 “Adopting droids will happen gradually, and there must be a transition phase where robots and humans work hand in hand,” he said. According to him, youngsters and kids like experimenting with robots, and this market segment will be the easiest to penetrate in order to deploy this technology. Millennials also are more acquainted with this tech. “It will be easier for family hotels to start using robots, than leisure or business hotels,” he added. Replacing manual workers with an automated system is beneficial for industrial companies as the process reduces wasted time and money and increases productivity. Robotic process automation can also cut costs for financial services firms by up to 75 percent. Also, replacing humans with robots will shrink the costs by almost 22 percent, according to market research company Technavio. However, things are little different in the hospitality industry, which requires more human intervention and care, as servicing and interacting with guests is a core business pillar. According to Wesselman, today’s processes that benefit from cost efficiency improvement through robotics are the ones that are highly repetitive, that happen in a structured applications, and the ones that do not require a lot of human involvement. “Artificial Intelligence is developing at a rapid pace. Robotic solutions will become available for the less structured ‘environments’ [including working areas and applications for instance] as well. But what about the required investment. Well, I expect that one out of three of commercially available robot solutions will be offered ‘as a service’ by 2020. This means that the investment to acquire robot technology will no longer pose a threshold that keeps hospitality businesses away from using robotic solutions.” He explained that this ratio will rapidly improve as more vendors enter the market to compete. “Therefore you may expect a cost benefit without high investment requirements. Even more so, the revenue side will improve dramatically as customers may be interested to experience a robot-driven hotel. Fact is that the Henn-na Hotel is well booked all year round,” he said. According to Özden robots’ ROI are difficult to benchmark in the hospitality industry. 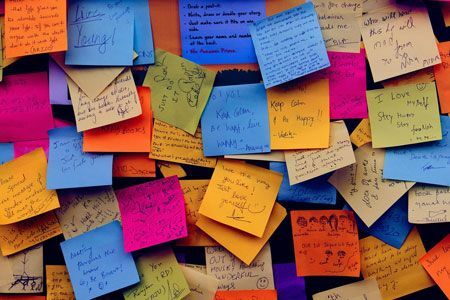 Unlike other industries where activity is weighed in numbers and analytics, hospitality involves much more complex criteria, such as the human touch and customer satisfaction. 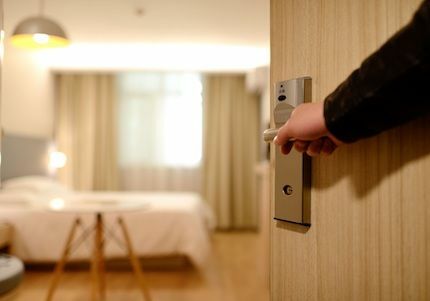 “Feasibility in hospitality is rather seen as a readiness to advance, and become today what the others will be tomorrow,” he said, referring to hotels embracing technology and adopting it to boost their features. 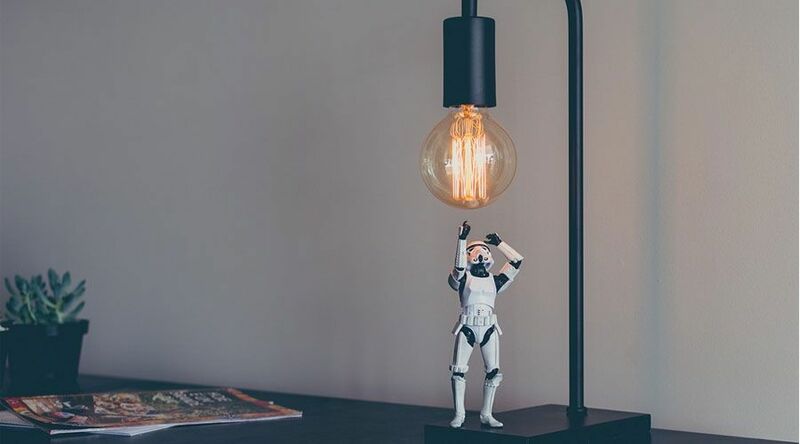 A Robin robot and AI dashboard could cost around $50,000, but it's the innovation behind it and the utility it brings that sheds the light on its ROI. Savioke's Relay room servicing (Image via Savioke). 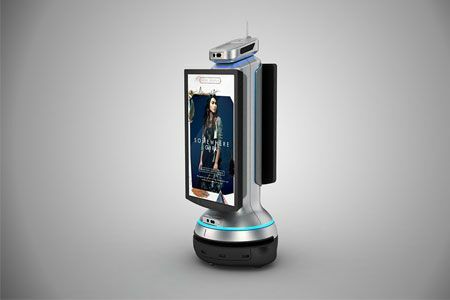 Steve Cousins, founder of Savioke, which produced Relay, the first hotel robot, said in an interview that hotels which used Relay, witnessed increasing revenues from room item sales of the mini-bar that the robot carries for example. It also had a boost in occupancy due to guest interest, and RevPAR (Revenue per available room) peaks. Some hotels also charge $2 per delivery, which also increases their returns. He said that Residence Inn by Marriott reported a 0.5 increase in RevPAR attributed to the usage of Relay, just one year following hiring it, in addition to an $1,700/month increase in incremental revenue. Relay robot is a robot-as-a-service that rents for about $2,000/month, including installation, training, monitoring, and call center service. Looking into the future, a plethora of new robotic products may be rising on the horizon, eager to tap into the market. Wesselman believes that hospitality businesses that want to put robotic employees on their payroll may want to consider a more serious form of chief technology officer, including an organisation to support the new technology as it becomes part of their value chain. “We may expect that robots quickly become part of our everyday lives, hence forcing the hospitality industry to keep pace with recent developments,” Wesselman said. Özden concluded that many will be urging to experiment with robots, but it would take between 15 to 20 years for the industry to witness a full integration.